New Relic provides the real-time insights that software-driven businesses need to innovate faster. New Relic’s cloud platform makes every aspect of modern software and infrastructure observable, so companies can find and fix problems faster, build high-performing DevOps teams, and speed up transformation projects. Jim Gochee is New Relic’s Chief Product Officer, overseeing the teams that design, build, and deliver New Relic’s products. He has a passion for building world-class products and loves technology – especially when it’s well architected, scalable, and fast. He takes great pleasure in helping customers analyze their technology and build great digital experiences. Prior to New Relic, Jim was the Chief Architect for the Wily Technology division of CA, where he was the technical lead for Introscope, an industry-leading web application performance monitoring solution. Jim loves technology products and the real world problems they solve. He also champions user experiences and clean design and how it helps with customer adoption. As someone that is constantly learning about what motivates people, Jim also enjoys helping people build great digital experiences. We talk about why CEOs are now fully committed to DevOps and digital transformation and how New Relic is helping customers such as Scripps, Draft Kings and Braze who approached the company for tips and help. We also discuss the top questions and challenges companies face. As listeners are probably aware, companies of all sizes across various industries shared how they were going through a “digital transformation” and adopting a “DevOps culture” at the beginning of 2017. Many were pressured to say this because of the hype at the time, and top executives at these companies never really bought into the idea, until recently. 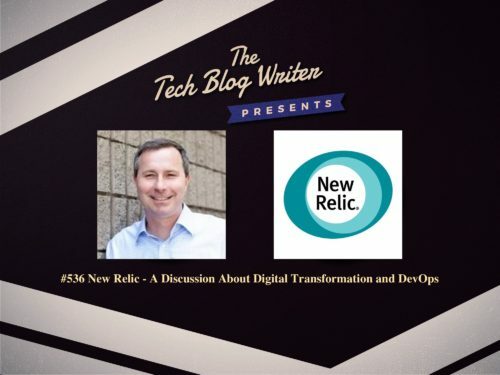 Now they’re turning to experts like New Relic, who’s at the heart of DevOps and digital transformation, for help as they become fully committed to the idea.